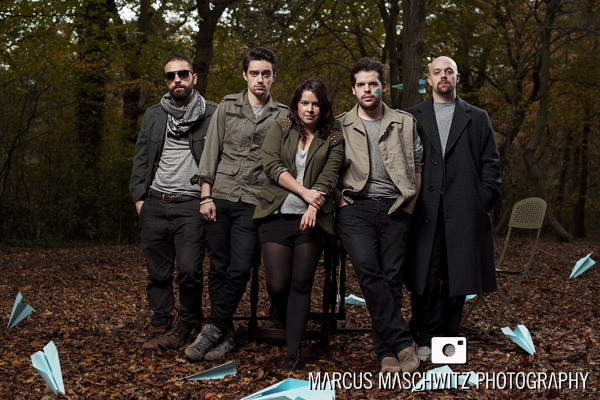 04 December 2013 – Just under a month ago I worked with the guys (and lady) that make up Audiogold on some new press images. It’s very seldom that self-managed bands have everything together in terms of how they imagine the band being presented … Audiogold is one of those perfect examples because they know exactly how they want their image to tie in with their sound. We had a meeting before the shoot and they filled me in with where they are at as a band, what their future plans are what they had in mind for their new photographs. 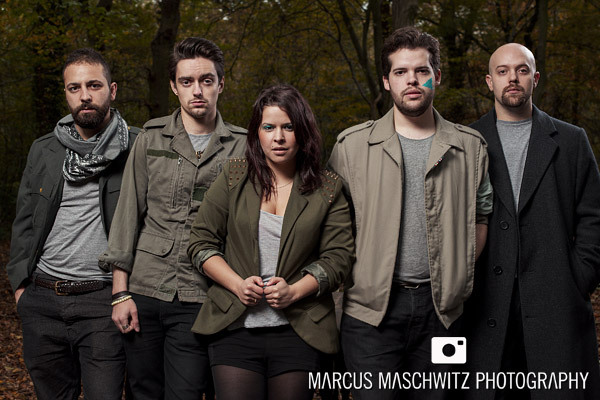 We bounced a few ideas back and forth and created a scene in the woods where they could just “hang out” in the shots. 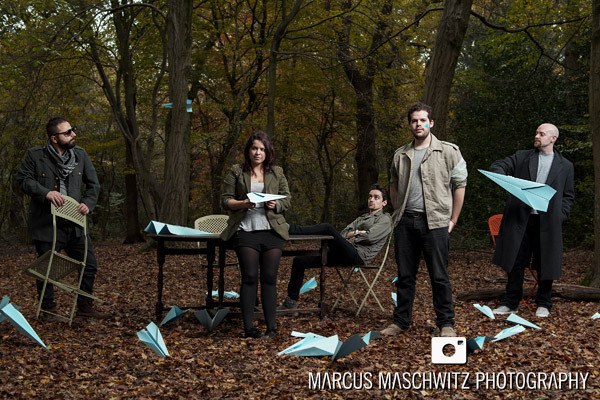 We included a few paper planes which has become part of their marketing … I loved that. Good people with a great live set and a load of potential. Look them up now before they get big and feel special for contributing to that growth. They also have the FUNNIEST way of announcing shows (mostly hurting each other) … it’s a must see.